A skiing experience can be an enjoyable family activity if children are appropriately dressed and given proper hydration and nutrition. Children who are freezing or wet, on the other hand, have moods that deteriorate quickly and this can ruin a family trip to the slopes. The Obermeyer’s sale includes a range of jackets and ski gear. It is an easy and inexpensive option for parents to fit their children with the appropriate outfits and get new gear for kids who’ve grown out of their clothes from the previous season. Skiing involves plenty of waiting. Children in ski school need to wait during ski school, for chairlifts, on the lifts themselves, and on the slopes for lessons. Children who are bundled up and not playing or skiing may feel much colder than those who are. This is because they are not generating sufficient body heat to elevate their body temperature. In this case, children need extra layers to be appropriately dressed for the weather. The right amount of ski clothing requires a balance between preparing children for the cold while ensuring they do not overheat. Ideally, children should wear a base layer that is a non-cotton long sleeved t-shirt able to absorb moisture. The clothes should fit in a way that does not constrict movement. The material also needs to contain insulating properties and be designed with features that improve comfort and style. Helmets need to fit snugly and comfortably. An adjustable helmet with removable ear flaps, cushion ears, and ventilation can allow children to be safer and to enjoy the skiing experience more. Parents should keep in mind that the excitement of the day and the adrenaline of going on runs can make it more difficult for children to assess their own body temperature. Children need to take breaks and provide constant reassurance that their fingers and toes are not feeling numb. The balance between keeping children wrapped up requires considerations like the amount of time they spend waiting, their activity level, and changes in weather. Children can build confidence and respect if they begin skiing at a young age. This confidence can prevent fear or inexperience when the children grow up and continue engaging in the sport. Children will also learn the sport faster at a young age, as their bodies are still highly flexible. Learning the sport can allow children to connect with nature by gaining a respect for the mountains and feeling an appreciation for the snow and winter. Skiing can also serve as a way for children to release their energy in a productive and fun way. It is a reason for them to exercise and to stay outdoors instead of staying in with video games. 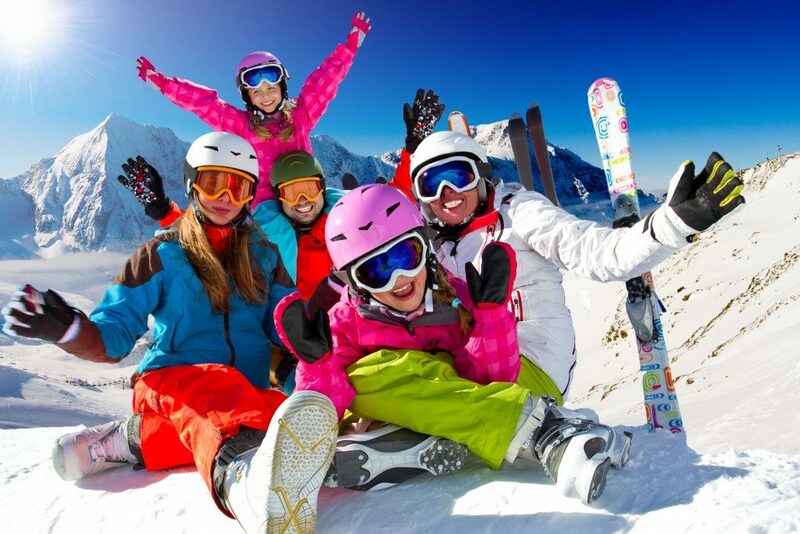 Winter sports like skiing also serves as a good bonding opportunity for the family. Proper layering can mean the difference between an enjoyable trip and one that is not. Children will reap the benefits of learning to ski at an early age if they enjoy and feel comfortable the initial times they learn to ski. What’s Wrong With My Printer This Time? How Rideshare App Passenger Insurance Policy Works?